This is to thank you for the excellent job you have done for my forklift co. 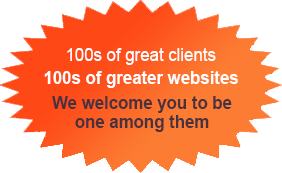 Your web design & web hosting has given my company a huge boost. In one year my business has doubled. I am getting enquiries from all over the world. I get invitation from forklift all over the world for business partnerships. Thank you once again.